Would you like to see something neat? 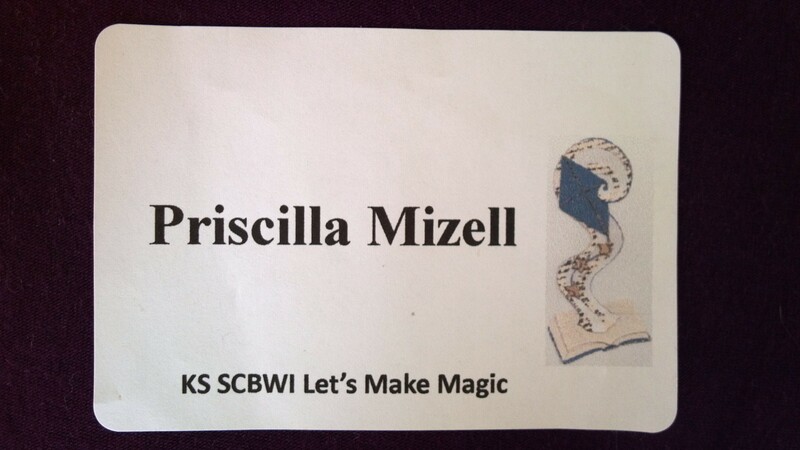 That’s my illustration on the Kansas SCBWI Fall 2012 Conference name tag! It was a wonderful surprise to find my art featured this way. In related news, I posted some notes from the conference sessions on the Illustrators for Kids blog. Come on by! Always remember that anything you post online can be read by anybody, including your future colleagues. Be honest and professional, and consider how your words could be interpreted by others. Do not expect other authors or illustrators to reciprocate if you write a review of their book, send them a compliment, or retweet something they post. Think about it as contributing to the kid lit culture. Be open to revision. The goal is to work with other publishing professionals. View publication as a collaborative process that relies on feedback from critique partners, agents, and editors. Don’t be afraid to explore other writing avenues. You don’t have to limit yourself to one genre or age group. Seek to include multiple layers of meaning when creating picture books. Don’t give up! Rejection is an opportunity to evaluate your manuscript and/or portfolio, reflect on your path to publication, and try something new.